I’m taking an art class. It is enriching my world beyond measure. But, more than anything, it is showing me the power of suggestion in carvings and how we make up things that aren’t even there. During the first still life drawing class I officially had my mind blown by adding just one line to the piece. 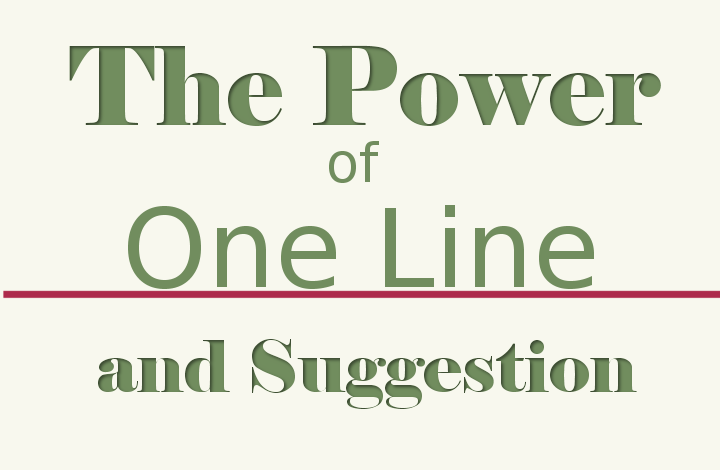 It showed me how impressive the power of one line and suggestion really are. The very first process in drawing a still life, or anything for that matter, is to lay in where each element is in relation to the others. Maybe start with the top of the tallest piece and make a mark of where that is in relation to the frame created by the edges of the sketch pad. And then lay in the outline of another piece in relation to the first one and to the edges, and so on, until at least the outlines of all the shapes take up their appointed space on the page. After that, it’s just a matter of filling in the details of each piece and their shadows. Shadows have shapes too, and they take up their own space in the frame. No matter how much detail or shading I added, all of the pieces were just floating in space. And then, something miraculous happened. I drew one horizontal line that represented the back of the table where the pieces were sitting. Just one line, and everything changed. Now the still life appeared to be sitting on a table in a room. And there was distance between me and the front of that table. And then distance from the front of that table to the still life. And then distance from it to the back of the table. And then distance from the back of the table to the wall. Drawing one horizontal line instantly created depth front to back. My eyes had only seen the still life pieces on the page before. With one additional line, now my mind had invented a table and a room around the still life. They were no longer floating in space. They had a place. What has all this got to do with carving? What I finally understood about depth perception had little to do with the distance I had planned for each layer of the cutouts and everything to do with what the mind created from suggestion. It only took one line to conjure a whole room with a table in it. As I continue to work on the new branches drawing, and am tempted to over-complicate each layer, I think about that one line. It really doesn’t take much to make a powerful suggestion.